HP 2710p RU540EA#ABD 12'' WXGA+ U7600-1,2 2GB 100GB CAM WL BT Vista Bus. 3J.Gar. 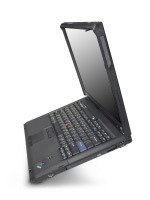 Notebook IBM Thinkpad X60 UX0MNGE 12" T5600 1GB 80GB FP BT abg FiWi 4cells 1,3kg XP-prof. 3JGar. HP NC4400 RL880AW 12'' XGA T7200 1GB 80GB WL BT FP 1,8kg XP-Prof. 3J.Gar. Lenovo Thinkpad X301 NRDLFGE 13,3" WXGA+ LED SU9400 4GB 128GB-SSD UMTS VistaUlt 3J.Gar. Lenovo Thinkpad X301 NRD1TGE 13,3" WXGA+ LED SU9400 2GB 64GB-SSD UMTS VistaBus 3J.Gar. Lenovo Thinkpad X301 NRD1VGE 13,3" WXGA+ LED SU9400 2GB 128GB-SSD UMTS 3c VistaBus 3J.Gar.